How do I stop falling for unavailable men? Marriage and family therapist Dr. Marni Feuerman has answers. 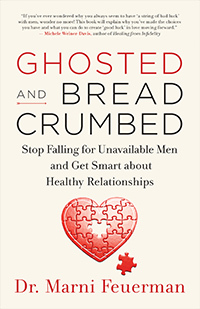 In her new book, Ghosted and Breadcrumbed: Stop Falling for Unavailable Men and Get Smart about Healthy Relationships, she inspires women to take back their power by asking for what they want in their relationships and intimate connections. We hope you’ll enjoy this excerpt from the book. 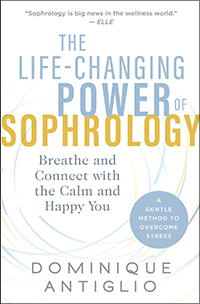 Sophrology is a dynamic relaxation, stress-management, and meditation system that can help you connect with your inner resources quickly and easily, anytime, anywhere. Founded by Spanish neuropsychiatrist Alfonso Caycedo (1932–2017), it is used to connect the body and mind in a dynamic and powerful way. People from all walks of life have successfully used Sophrology to overcome fear of failure, manage stress and anxiety, beat insomnia, prepare for big events, and fulfill their potential. Most of us intuitively feel that reality contains a spiritual dimension hidden from our five senses. For author Lee Harris, that spiritual dimension became startlingly real one day when he began communicating with “the Zs,” a group of nonphysical beings from another plane of reality. At first, Lee dismissed the Zs as figments of his imagination, but they spoke with such wisdom and compassion that he became convinced of their existence. 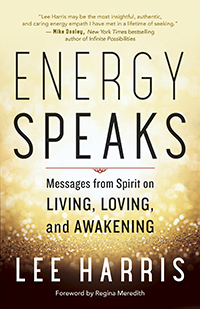 He quickly discovered that they had profound insights to offer into the big issues facing all of us: relationships, prosperity, health, and more. 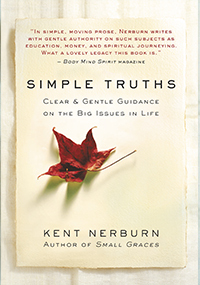 Seldom does a book come along that speaks to the core issues of life with the clarity and wisdom of Kent Nerburn’s Simple Truths: Clear & Gentle Guidance on the Big Issues in Life. Now available in paperback, Simple Truths is deeply informed by the spiritual traditions of the West, the Far East, and the Native Americans, with whom the author has worked. It is a small treasure of wisdom about life’s deepest issues. We hope you’ll enjoy this excerpt from the book. Not everyone is a natural writer. In fact, most people don’t think seriously about writing until, one day, they’re suddenly called upon to write an office memo or a wedding speech — and find themselves paralyzed with self-doubt and indecision. Author Alan Gelb specializes in helping anxious writers find their voice. During his career as a writing coach, Gelb has developed a repertoire of techniques to improve anyone’s writing, sometimes in a matter of days. 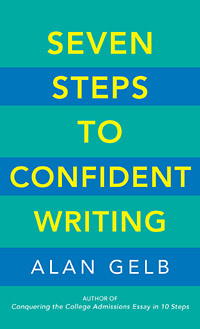 Those methods are now available to everyone in his new book, Seven Steps to Confident Writing. We hope you’ll enjoy this excerpt from the book. No matter how cushy their lives, dogs live on our terms. They compromise their freedom and instinctual pleasure, as well as their innate strategies for coping with stress and anxiety, in exchange for the love, comfort, and care they get from us. 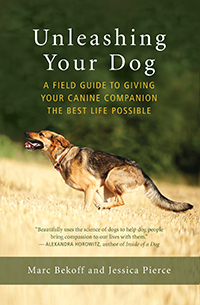 But it is possible to let dogs be dogs without wreaking havoc on our lives, as biologist Marc Bekoff and bioethicist Jessica Pierce show in their fascinating new book, Unleashing Your Dog: A Field Guide to Giving Your Canine Companion the Best Life Possible. They begin by illuminating the true nature of dogs and helping us “walk in their paws.” They reveal what smell, taste, touch, sight, and hearing mean to dogs and then guide readers through everyday ways of enhancing dogs’ freedom in safe, mutually happy ways. The rewards, they show, are great for dog and human alike.